We are pleased to announce that we have been selected to present at Finovate Europe. We will be showcasing the new version of Contribution Advice which is part of our online service, Pension Wizard. Contribution Advice is a simple application which enables the user to see whether they are on track for the retirement income they want. 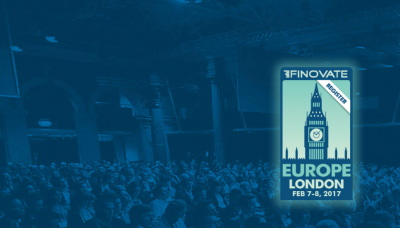 FinovateEurope is a demo-based conference for innovative startups and established companies in the fields of banking and financial technology. They are a unique combination of 72 fast-paced, onstage demos with eight hours of dedicated networking time in an intimate exhibition area over two days. Held in London, the event offers an insight-packed glimpse of the future of finance via a fast-paced, intimate, and unique format. FinovateEurope is organized by The Finovate Group. If you are interested in attending Finovate on 7th and 8th February 2016, you can book tickets here and get 20% off with this discount code: WealthWizards20FEU17.